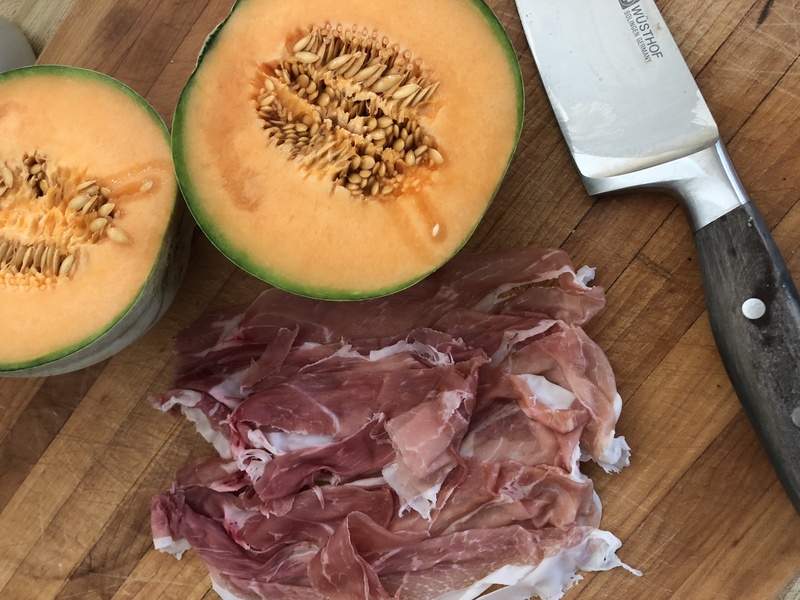 Last week while walking through our local farmer’s market, I found a stand offering melons. Melons of all types, sizes, names and flavors. The gentleman was from Red Hat Melons located in Corvallis, Oregon, and he was as delightfully memorable as the melons he was selling. 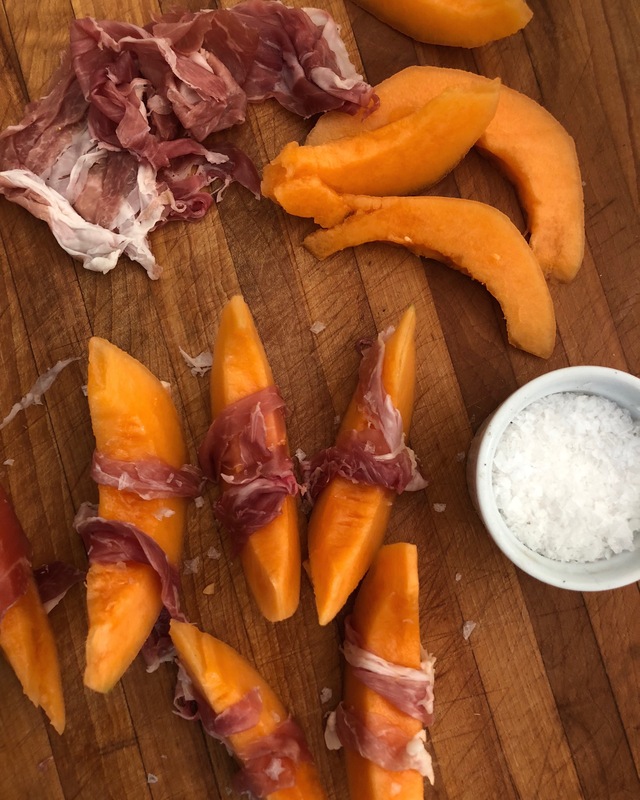 Available for purchase were heirloom melons, crane melons, Tuscan cantaloupes and the French melon in all its petite glory – the charentais. Recognizing the harvest season is in its final few weeks, I picked up two (a crane and charentais) and have been enjoying them for the past four days. A simple treat to be enjoyed during summer and now early fall. 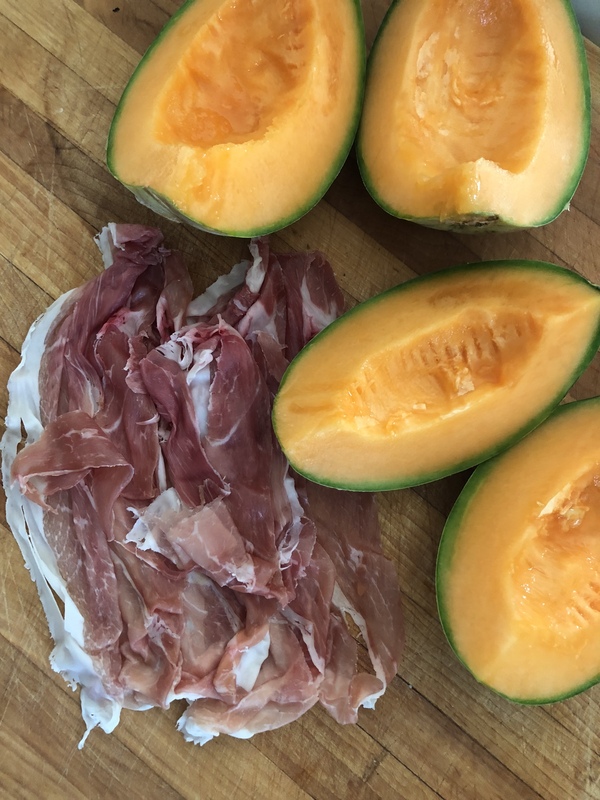 Make as an appetizer, a snack or for a light breakfast by pairing slices of melon, wrapped in thin slices of savory, salt-cured prosciutto and sprinkled with just a dash of sea salt. The combination of sweet and savory is mouth-watering. I knew it was time to enjoy my melon as the purveyor had mentioned I needed to wait about one or two days upon taking it home, and right on the nose he was. 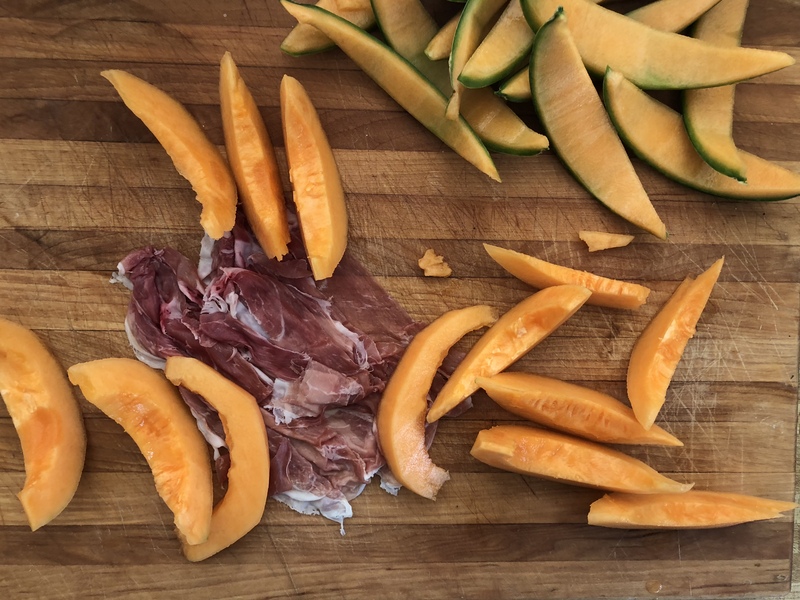 In two days time the melon was sharing its subtly sweet fragrance in my kitchen, and upon slicing it (as you see in the photos), it was asking to be enjoyed. ~I wish I would have taken a picture of the melon before cutting, but you can see a quick video clip here to get a better look. If you want to know whether your melon is ready to eat, sniff it. It works for pineapples, too. 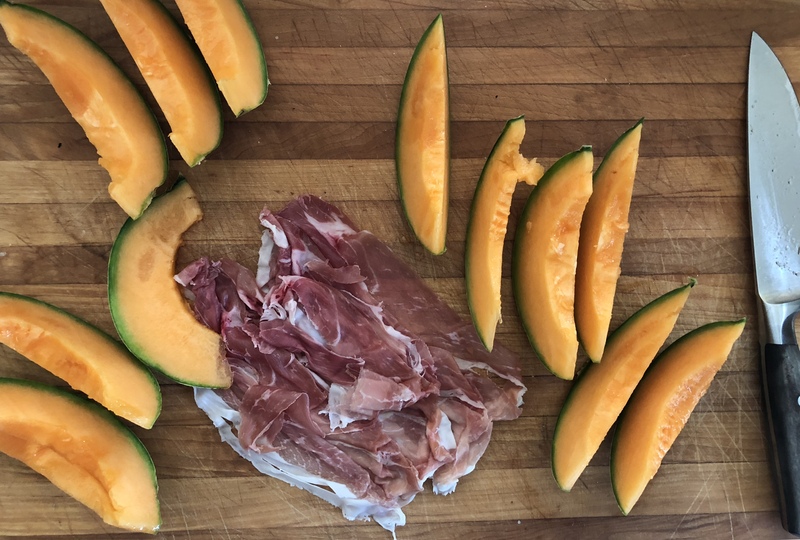 Some people here serve the melons halved, with the ham inside and then a dose of port. Another variation is to drizzle the slices with balsamic vinegar.